They do say that it can be a challenge to find a job in the Okanagan. Even as recent as January when Statistics Canada reported in January that the unemployment rate dropped to 5.7 per cent in December, down from 5.9 per cent the month before, to reach its lowest mark since comparable data became available in 1976. The unemployment reading fell as the economy generated 78,600 net new positions, including 23,700 full-time jobs. In B.C., the jobless rate fell two points to 4.6 per cent. In Kelowna, it was 6.3 per cent, up two points. Finding a job in the Okanagan can be a bit more challenging than in other markets. But everyone wants to move to the Okanagan right? So then how should one go about looking for a job in the Okanagan whether it is Vernon, Kelowna, Penticton or any other town in the Valley? According to Workbc.ca, the Thompson-Okanagan economic region is located in the interior of the province. It stretches from Princeton in the west to Golden and the Alberta border in the east, to Osoyoos and the Washington state border in the south. Kelowna and Kamloops are the largest cities in the region. Employment opportunities range throughout, so depending on the Okanagan town/city that you are looking at, opportunities will vary. Of course the steps to your Okanagan job search may be different if you are moving to the Okanagan from out of province, outside of the Okanagan Valley or if you are an existing resident. The steps below are geared for people either living in the Okanagan or are familiar with the Okanagan job markets. Work with a recruiting agency – While this is not meant to be a self-promoting article, Aspire Recruitment Solutions is a leading placement agency in the Okanagan. We have been connecting job seekers with great employment opportunities in the Okanagan for years. Learn more about how we work with people looking for employment in the Okanagan Valley. Ask Friends and Family (living in the Okanagan) – word of mouth is still a useful form of communication and this holds true when it comes to employment opportunities. Part of the job search process is marketing yourself and networking. Get out there and ask around. Begin with your friends and family, mention to them that you are looking for a change and communicate what you may be looking for. Check out the job board on Castanet – visit https://classifieds.castanet.net/cat/jobs/ to see a list of some employment opportunities from the north Okanagan to the South Okanagan in centers from Vernon to Osoyoos. Visit the Careers section of the Okanagan city/town that you are seeking work in – most people will leverage this resources as a starting point to get a “city job”. Quite often there is a formal application process that you may need to sign up for or sometimes the city may not be accepting applications through their websites. Regardless, the city websites will often have a list of employment opportunities in their Careers section of their website. Looking for work in the Okanagan can be a trying experience for many, but it doesn’t have to be. 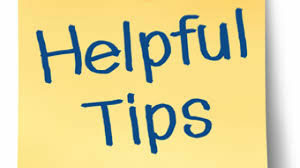 Use the tips above or contact Aspire Recruitment Solutions for assistance in your job search. Learn more with our Job Seeker FAQs. Looking for a new opportunity in the Okanagan? We’re ready to help. Need assistance with your recruiting or staffing efforts? Contact us today to set up a consultation. Speak with one of our experienced HR consultants and get ready for what awaits you in your new position. We’ve designed our services to support job seekers and their unique needs every step of the way!